In honor of the Presidents Day holiday, this is our last issue until Tuesday, February 21. See you then! The American Library Association is creating Book Club Central, an online platform of reading resources that will include recommendations, expert book lists and other content for book clubs and their readers. Actor, producer, designer, library supporter and avid reader Sarah Jessica Parker will serve as the honorary chair of the initiative. She recently launched SJP, an imprint at Crown's Hogarth line. Parker, who will recommend titles for Book Club Central throughout the year, is unveiling her inaugural pick June 24 at the official launch during the President's Program at the ALA Annual Conference and Exhibition in Chicago. "I can't think of anyone more perfect than Sarah Jessica Parker to be the American Library Association chair of Book Club Central," said ALA president Julie Todaro. "Ms. Parker is an advocate for libraries and literacy issues, has served on a Presidential Task Force to integrate literature and drama into schools, has experience starting a book club, is the editorial director of a new line of books and is--most importantly--a lifelong reader who shares her love of reading with others. The ALA is lucky to be able to share Ms. Parker's passion and expertise with book clubs and readers everywhere." Parker commented: "From an early age, books were my constant companions and my local library a place I could find a new friend on every shelf... I'm thrilled to help champion original voices for dedicated readers as well as for a new generation, supporting libraries in what they do best." 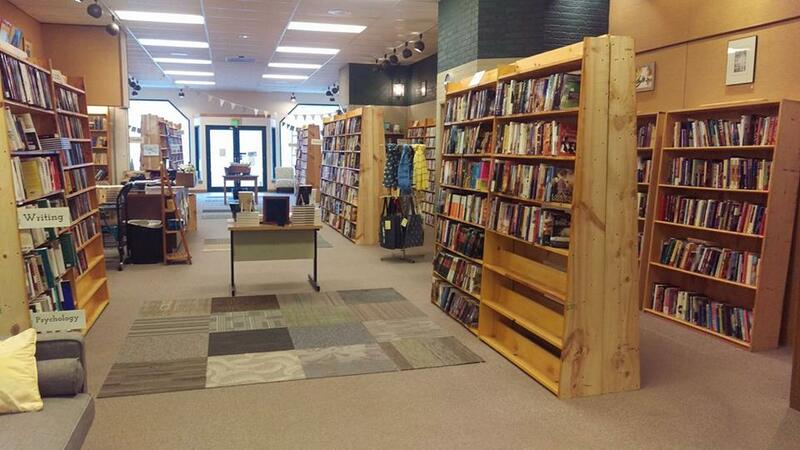 Second Flight Books Finds Home in Lafayette, Ind. Justin and Laura Kendall opened Second Flight Books, which sells new and used titles, last fall at Market Square Shopping Center in Lafayette, Ind. The Leader reported that when Earl Plaza Books "announced last year it planned to close its doors, it found a home for its shelves and much of its inventory in Second Flight Books." Since then, the Kendalls have "gradually expanded the layout to accommodate a mix of new titles along with trade-ins and, of course, plenty of inventory from Earl Plaza Books." "We had found this place literally the day before we had to move everything out of Earl Plaza," said Justin Kendall of their quest to find a location under a deadline. In a post on the store's website titled "Why I'm Opening a Bookstore," Laura Kendall observed: "When you tell people you're opening a bookstore, you get a lot of interesting looks. You get big-eyed reactions and unsuccessful attempts to hide fear and anxiety for your plans. In a world of smart phones and e-books, a lot of people think our population has stopped reading print, but they haven't. I'm a millennial--part of the generation that people assume live on screens--and I want a solid book in my hands. I want the smell of paper, of dust even. I want a tactile thing to curl up with. I want dog-eared pages and the ability to scribble inside them if the words merit scribbling about. And this is why after years of working a 'safe' government job I'm opening up my life to a store full of books." 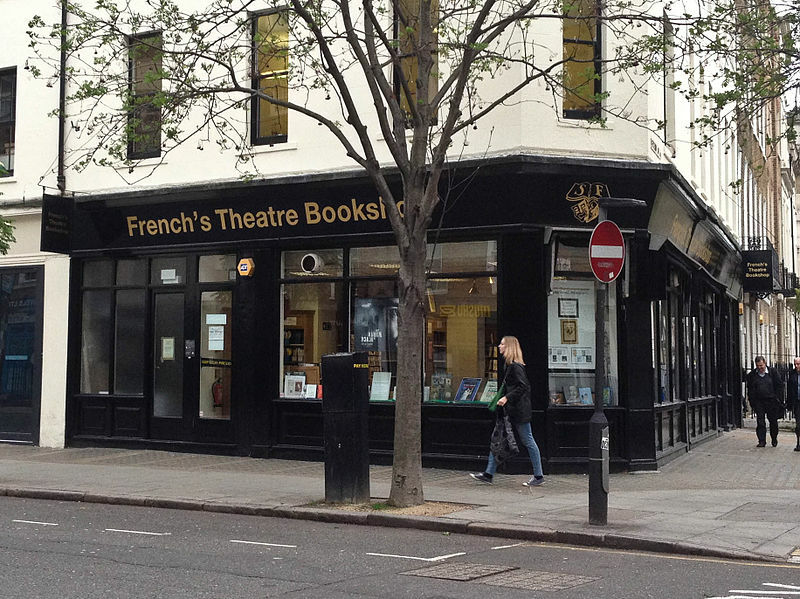 Samuel French plans to close its London bookshop in April after 187 years in business and move the company's offices to new premises near Euston, where it will continue to publish and license plays. The rest of the Samuel French operation, including its bookstores in New York City and Hollywood, is not affected by the decision. On its website, the company cited "an unsustainable 200% rent increase to stay in our current location" on Fitzroy Street, and noted that "after exploring all options for alternative premises, we have come to the conclusion that sadly it isn't viable to maintain our London shop.... We remain resolutely committed to theatre bookselling, and we will continue to sell a full range of plays and theatre books (from both Samuel French and other publishers) through our well established and growing online shop." Four out of every five books the company sells are now purchased online or through other retailers. "It's the way the market, the landscape of retail and bookselling in particular, is going," managing director Douglas Schatz told the Stage. "In the last few years it's changed immeasurably, with online retailing and e-books. There has been a pressure on traditional bookshops and, at the same time, property costs in London have continued to rise, alongside rates and rents. It drives small, independent business out." Arcturus Publishing Creates Trade Imprint for the U.S.
Arcturus Publishing, which has headquarters in London, England, has established a trade imprint called Sirius that will specialize in trade titles for a broad market, including practical art and entertainment, history and science, for the U.S. market. Sirius will be sold here by Bookmasters, Arcturus's North American distributor since 2011. Sirius is a departure of sorts for Arcturus, which has specialized in promotional book-based publishing. Vanessa Daubney, who has been hired as editorial director of Sirius, said, "It has been really encouraging to see our increased growth in the U.S. and Canada over recent years. It has become apparent that to continue this growth we needed to differentiate our position in the trade from our wider business activities. This new trade imprint is a critical part of our efforts to attract new authors and expand our program." She added that the company remains "committed to creating books that combine great content, attractive design, and superior production to give the reader exceptional value for their money." Among upcoming Sirius titles are The Story of World Mythologies by Professor Teri-Ann White and Archeology by Gaynor Aaltonen. 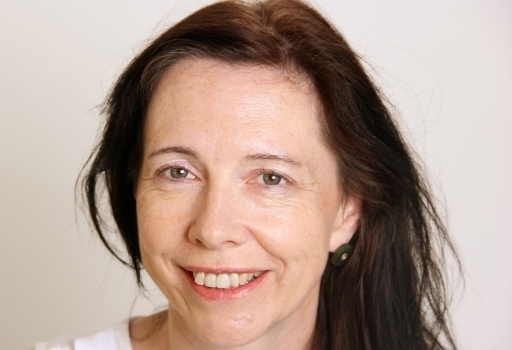 The council of the Publishers Association of New Zealand has appointed Catriona Ferguson as its director, Booksellers NZ reported. Ferguson is currently CEO of the New Zealand Book Council and was previously a literary advisor for Creative New Zealand. She succeeds Anne de Lautour, who will be stepping down in April after almost 10 years as association director. PANZ president Melanie Laville-Moore said Ferguson "has a proven track record in administering industry bodies, and we've no doubt that under the stewardship of the PANZ Council, she will deliver on many important fronts." 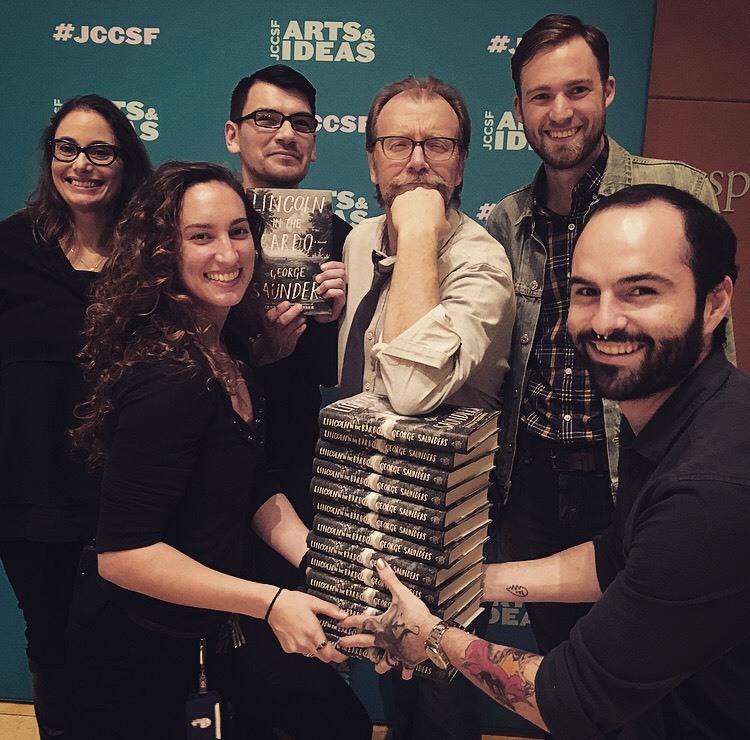 George Saunders appeared at the Jewish Community Center of San Francisco to discuss his new book, the novel Lincoln in the Bardo (Random House), with Dana Spiotta, author of Innocents and Others and Stone Arabia. Green Apple Books was the on-site bookseller for the sold-out event. Pictured: (l.-r.) Dana Spiotta, Becky Robinson-Leviton (JCC), Ray Gonzalez (Green Apple), George Saunders, John Gibbs (Green Apple), Chris DiPietro (JCC). The Seminary Co-op Bookstores in Chicago are soliciting lists from booksellers, authors, friends of the store and customers that promote reading itself as resistance: "Reading is critical, in both senses of the word. Crucial, of course, insofar as it is a cornerstone of communication, a primary means by which we receive information. But it is also an active form of resistance, a tactic in the struggle against ignorance, misinformation, and manipulation. To read is to become knowledgeable; to become knowledgeable is to become powerful." The bookseller is posting one list per day on its blog, as well as across social media. Book Capella, "a newly built, gothic-inspired library in central St. Petersburg, is complete with all the expected luxuries of an ancient athenaeum--and a price tag to match," the Guardian reported. Visitors must pay an admission fee of 7,121 rubles (about $125) "for a four-hour reading session--a markedly different experience to the free access readers can enjoy in Russia's public libraries." The library's collection of approximately 5,000 titles is entirely published by Alfaret, owner and initiator of the project. "One hundred pounds per visit is certainly not a low price, but it is less expensive than tickets to the opera or ballet," said Irina Khoteshova, the project director. "People aren't really surprised by the price itself. They are surprised that it's the price for a visit to a library.... Book Capella is not a library in the traditional sense, and it is not a museum, although elements of the museum are presented. It's also not the bookstore, although you can buy our books here. [It] is a new way for people to communicate with rare books." She added that the library is primarily used by book collectors, historians and scientists--as well as businesspeople who want to have meetings in a quiet space that also serves as an exotic change from their usual haunts. Book Cappella does offer some frequent user discounts: a "Book Apostle" yearly card costs 230,000 rubles (about $4,020), while the "Preacher's Book Apostle" lifetime subscription, can run to five million rubles (about $87,375). 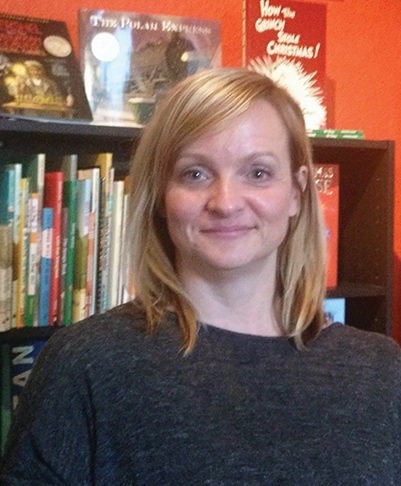 Audra Boltion has joined CBC/Every Child a Reader as media consultant for CBC/Every Child a Reader. She has worked with Penguin Random House, HarperCollins and Abrams, and in partnership with Gods Love We Deliver, Food Bank for New York City and the Elton John AIDS Foundation. Effective February 21, Shifa Kapadwala is joining CBC/Every Child a Reader as publicity manager. She was most recently a publicity assistant at Simon & Schuster Children's Books and earlier was a publicity assistant at Scholastic and had internships at Penguin, Sourcebooks and Bloomsbury. A note about James Wehrle's promotion to executive director of sales at Workman, mentioned here yesterday. In his new position, he will be responsible for book trade accounts, not all sales. Direct Action: Protest and the Reinvention of American Radicalism by L.A. Kauffman (Verso Books). HBO announced that its adaption of Rebecca Skloot's The Immortal Life of Henrietta Lacks will premiere at 8 p.m. on Saturday, April 22, Deadline reported. The project stars Oprah Winfrey, Rose Byrne, Renée Elise Goldsberry, Rocky Carroll, Kyanna Simone Simpson, Courtney B. Vance, Leslie Uggams, Reg E. Cathey, Reed Birney, Ruben Santiago-Hudson, John Douglas Thompson, Adriane Lenox, Roger Robinson and Melvin Van Peebles. George C. Wolfe directed from his screenplay. 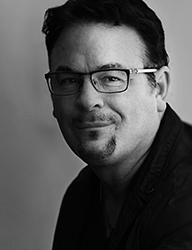 Winfrey, Alan Ball, Peter Macdissi, Carla Gardini and Lydia Dean Pilcher executive produce. Warner Bros. has released the first trailer for Everything, Everything, based on Nicola Yoon's 2015 novel, Indiewire reported. Directed by Stella Meghie, the film stars Amandla Stenberg (The Hunger Games), Nick Robinson (Jurassic Park), Ana de la Reguera (Sun Belt Express) and Anika Noni Rose (Dreamgirls). Everything, Everything hits theaters May 19. The Chartered Institute of Library and Information Professionals released longlists yesterday for the Carnegie Medal (author of a book for children & young people) and Kate Greenaway Medal (illustrator), but the announcement was greeted with criticism. Winners will each receive £500 (about $625) worth of books to donate to their local library, a golden medal and a £5,000 (about $6,235) Colin Mears Award cash prize. You can find the complete CILIP Carnegie and Kate Greenaway longlists here. Shortlists will be announced March 16 and winners named June 19. One title from each of the medal shortlists will also be named recipient of the new Amnesty CILIP Honor "for a book that most distinctively illuminates, upholds or celebrates freedoms. The honor aims to increase awareness of how great children's books encourage empathy and broaden horizons." Tricia Adams, chair of the judging panel, described the longlists as "outstanding, showcasing the huge range of storytelling to be found in this vibrant area of publishing... The subject matter that emerges from the two lists--stories about refugees, our relationship with the natural world, and living with disability and loss--reflect the very real issues children have to deal with. In turbulent times, we need children's books to provide a safe space from which to help make sense of the world." But the longlists sparked immediate criticism for not including a single black, Asian or minority ethnic (BAME) writer among the 40 titles, the Bookseller reported. Sunny Singh, co-founder of the Jhalak Prize for Book of the Year by a Writer of Color, called the absence of BAME writers from the longlists a "deliberate snub," while Wei Ming Kam, sales and marketing assistant at Oberon Books and co-founder of the BAME in Publishing group, called the lack of diversity "appalling." "The books you read as a child stay with you for life, so it is obvious that a lack of diverse books for children adversely affects kids who don't see themselves reflected on a regular basis," Kam said. "The importance of knowing that someone like you wrote a book you loved cannot be understated.... This is basic stuff, and I'm so, so tired of needing to say it all the time. We need to engage and empower more writers of color to submit to agents and publishers, but we also need to push and give recognition to those who get published--what is the point if they aren't supported?" CILIP CEO Nick Poole said the organization "acknowledged and respected" the concerns expressed, adding: "The longlist, shortlist and winners are selected by youth librarians who work with children and young people every day in schools and communities. As members of the library and information profession, they have made a commitment to our professional Ethical Principles, the first of which is 'concern for the public good in all professional matters, including respect for diversity within society, and the promoting of equal opportunities and human rights.' These principles guide all of our work on behalf of readers and library users. "The books on the longlist are judged on merit and on an equal playing field. This year's longlist represents, in the opinion of the judges, the very best books of the year, with no consideration of gender or ethnicity of either the writer, illustrator or audience. The broad subject matter of this year's longlist--stories about refugees, disability and migration--illustrates the breadth of range that the Medals are known for." 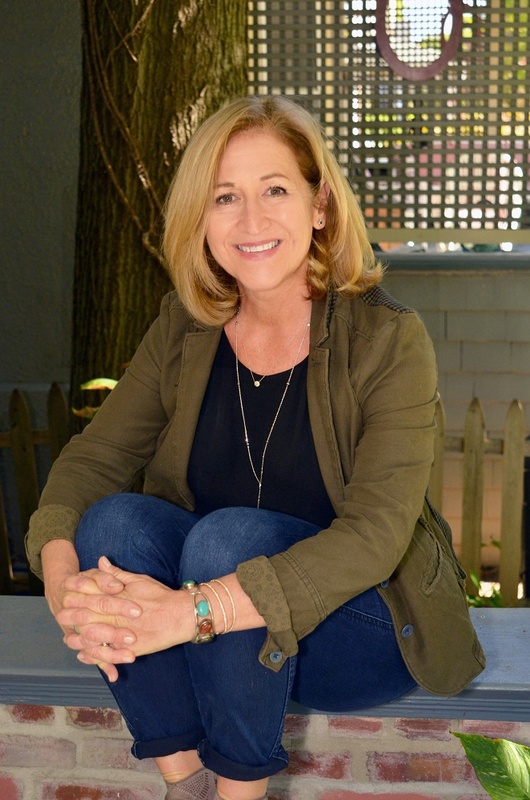 Laurie Lico Albanese is the author of Blue Suburbia: Almost a Memoir, Lynelle by the Sea and The Miracles of Prato, co-written with art historian Laura Morowitz. She writes travel pieces for the New York Times and elsewhere, and has done some reporting for Shelf Awareness. 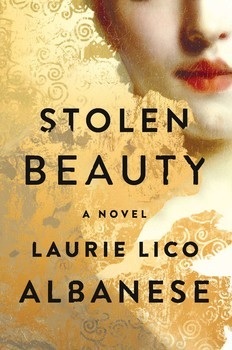 Her third novel, Stolen Beauty, is published by Atria (February 7, 2017). The Portable Margaret Fuller (ed. Mary Kelley) and Margaret Fuller: A New American Life (Megan Marshall). Fuller was a feminist who pioneered investigative reporting from inside the Bellevue Almshouse, Blackwell's island prison and elsewhere for the New York Herald Tribune in the 1840s. The Red Tent by Anita Diamant, which I'm reading for the first time and devouring. Colson Whitehead's The Underground Railroad, which I'm re-reading because it was so devastating that I had to look away for parts of it, and it's a book that has to be read with eyes wide open. Harriet the Spy by Louise Fitzhugh. She carried a notebook and spied on her neighbors, which is precisely what made me want to be a writer. I also adored Louisa May Alcott's Little Women. I loved that these were semi-autobiographical novels about girls who grew up to be authors. This is a dreadful question! I have favorite books, life-changing books, books and authors who've influenced me, and books I'll never forget. Since I have to narrow it down, I'll say Ernest Hemingway for his Nick Adams stories, and F. Scott Fitzgerald because The Great Gatsby has the most memorable characters in American literature. Adam Johnson's Fortune Smiles kept me up all night, and The Orphan Master's Son has everything I could ever want in a novel--love, captivity, loss, despair, hope--plus scenes and objects (canned peaches) that are unforgettable. Louise Erdrich, especially Love Medicine and The Round House--her body of work is a complex and glorious illumination of generations of Americans. Paula McLain, Lily King and Christina Baker Kline, because their amazing historical novels have collectively influenced my writing in the past four years more than any others. Shakespeare--all of his work except Romeo & Juliet, Hamlet and Macbeth. I know, I know, this is terrible. And now everyone will know. In my defense, I've seen a lot of the plays. To me, Shakespeare is best understood in the theater. The Things They Carried by Tim O'Brien, for the power of stories and for Tim saving Timmy's life. Behind the Beautiful Forevers by Katherine Boo and Between the World and Me by Ta-Nehisi Coates, both of which illuminate national injustices in clear, powerful prose. As shameless as I am about Shakespeare, I feel almost vindicated by saying I've never bought any book for the cover. I always--and I do mean always--read the first page before I buy anything. I did buy two books for their titles: The Book Thief (Markus Zusak) and The Fault in Our Stars (John Green). It's interesting that they're both YA novels. There must be something I can learn about titles from that, but I can't figure it out right now. A Room of One's Own. Virginia Woolf helped me recognize that I am a feminist, and that at its best, women's historical fiction is doing what Woolf demanded of us: women writing about women who are otherwise hidden, forgotten or invisible. Rebecca Solnit's Men Explain Things to Me was as important to me as Woolf in this regard. I read both books last year and felt like I'd woken up from a long, peaceful snooze in which I believed that sexism had no impact on my life. The opening of David Copperfield (Charles Dickens): "Whether I shall turn out to be the hero of my own life, or whether that station will be held by anybody else, these pages must show." And from Albert Camus's The Myth of Sisyphus: "One must imagine Sisyphus happy." Bird by Bird (Anne Lamott). The Major Poets: English and American--my college edition. The Catcher in the Rye (J.D. Salinger), because it was formative for me, and every few years I re-read it. Ellen Foster (Kaye Gibbons), because I took it apart bit-by-bit when I was learning how to write first-person narrative, and everything I know about deconstructing a novel started with that book. Klimt: Up Close and Personal (Tobias G. Natter, Franz Smola and Peter Weinhäupl), because I bought it in Vienna and it was integral to my research for Stolen Beauty. Anna Karenina (Leo Tolstoy). Although, to be honest, my memory being what it is, it will probably feel like it's the first time when I next read it. Faith Sale was a brilliant fiction editor at Putnam back when I was a marketing assistant in the children's division. Faith edited, among many others, Alice Hoffman, Amy Tan, Lee Smith and Kaye Gibbons--writers whose books spoke to me in a way no others ever had. This was the moment I understood that an editor can shape an entire list by favoring voice and strong women's narratives over other literary elements. To me, Faith Sale is the midwife to what we now know as contemporary women's fiction. Amy Dickinson is best known as the author of "Ask Amy," a popular syndicated newspaper advice column. In her memoir The Mighty Queens of Freeville, she shared the journey she took that led her from Freeville--a tiny village (pop. 520) in New York State--to Massachusetts, Washington, D.C., London and Chicago, with forays back to her hometown. Along the way she became a contributor to Time magazine, a regular on NPR and later succeeded Ann Landers, taking over her legendary advice column with the Chicago Tribune. In Strangers Tend to Tell Me Things, Dickinson continues her story, rooting her narrative more fully in Freeville, a town with "one stop sign marking the end of tree-lined Main Street." It has been home to Dickinson's ancestors for generations. They originally settled there in 1790, thanks to a land grant given for fighting in the Revolutionary War. "I come from a place that seems to nurture two kinds of people: those who stay and those who leave. I grew up in a family of stayers, but I left. And now, as far as I know, I am the only person in the entire history of Freeville... to leave--but then return again." Dickinson, a divorced, single mother--and her daughter, Emily--spent 18 happy years of vacations and summers in Freeville, visiting with her mother, aunts, sisters and other extended family. It wasn't until Emily went away to college, however, that the author, 48 years old and completely on her own, "chose to move home permanently," living in a house down the street from her aging and increasingly infirm mother. "Smack in midlife, I resumed the lifelong job of growing up," Dickinson says, as she unpacks an adventurous story that winds through her upbringing and recounts how, when her often menacing father abandoned the family, their dairy farm failed. Her stoic mother, Jane, was then left to find ways of keeping the family afloat and of reinventing herself when she, too, was middle-aged. This shared history launches into details about Dickinson's marriage and her husband's infidelity, their divorce, raising a child as a single mother, dating hazards and career shifts, and how she ultimately longed for "home." She craved the stability--along with the perils and fortunes--afforded by small-town living. Dickinson ultimately finds love and a soul mate, falling for Bruno, a divorced building contractor whose familial roots are as strong and deep--and often, as complicated--as hers. He is raising three teenage daughters on his own. En route to marriage, the couple's union poses challenges to their blended family, which faces intensive, multigenerational care-giving issues. 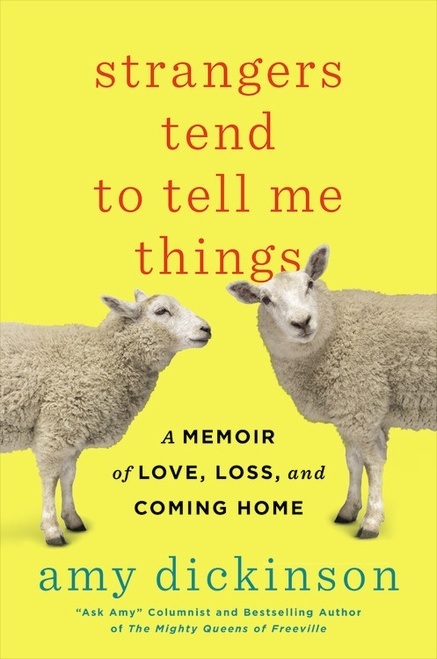 Shelf Talker: This memoir of self-discovery is about a divorced, middle-aged writer who resettles into the small town where she was raised. We are word people, but "brand" is one of those terms that sometimes lurks just beyond our comfort zone. Kind of a close cousin to calling a bookseller a "salesperson." Both words are pertinent, but... do we really have to say them out loud? The Wi12 education session "Creating and Managing Your Store Brand" featured John Evans of DIESEL, A Bookstore, with locations in Oakland, Brentwood & Larkspur, Calif.; Kevin Quinn, chief strategist for the consulting firm STYLED RETAIL; and Nicole Sullivan of the BookBar in Denver, Colo.
To begin, Evans shared a brief introduction he'd written to place branding "in a bookstore context because historically bookstores, especially some of the older stores, have a little bit of a conflicted idea about the very idea of branding." He observed that when he walks "into Three Lives in New York or Watermark Books in Wichita, Kans., or City Lights in San Francisco I have three different experiences. They're particular, specific and expressive of the personalities of the people who work there and their philosophies, policies, procedures, labor practices, visions and display & design choices. This is in addition to what we tend to focus on--selection of books, curation.... This session is taking a more conscious look at the ways in which we, consciously or unconsciously, body forth our values, ideas, visions and personalities in our stores as an entity called the bookstore, as a culture of booksellers, and as a business. This can also be called how we brand ourselves." Quinn offered a succinct definition of terms: "Your brand name is your objective, fixed source of the products and services, but your brand is what exists in someone's mind. It's their perception of your products and services. Brand name is very objective, brand is quite subjective.... The term branding is a marketing strategy for how you execute your brand." At STYLED RETAIL, the focus with clients is on "the values of why you started your business to begin with, and what truly matters to you and what does the business stand for," he said. "And we believe strongly that that is where store brand is derived.... Everything starts with your values and through that your store culture can be developed. It's in that culture that the customer derives their perception of your business." Quinn also stressed that booksellers "have to have a conversation with their customers, not just talking at them and sending messages at them, but actually engaging them in a conversation and asking for feedback and getting that feedback in multiple ways." "People can come into your store or go to your website, and some people will just consciously get it and say wow, this is all well thought out and tied in nicely. But most people get that on a very subconscious level. And when that happens, they feel more comfortable.... We want people to come into our space and just feel comfortable on a conscious level and also on a subconscious level. I think that is one of the most important things that branding can do for you." She also encouraged booksellers to trademark their logo and name because "we spend a lot of money on businesses, so it's good to be able to protect your investment." Value: "Add value and know what your values are." Personalize it: "Make your brand a necessity for how your customer wants to live their life." Engage: "Different messages in different mediums." Relationships: "Retail is about localization today.... Have a relationship with your customer and ask questions." Adapt: "Retail is moving so quickly and changing so rapidly.... When you know what your brand is and convey that to your customer, they'll speak with their pocketbook." Branding, for Evans, includes "having an incredibly diverse selection of books for what is basically a neighborhood bookstore.... and to be very playful in the way that we do displays and the way we interact with customers. The interactions we have are incredibly personal and direct, so people feel absolutely welcomed." He stressed "being responsive, being inspirational, being engaged, community radiating, and also to have a certain kind of authority. Our selection is communicating to anybody who likes to read that they can talk to anybody that's in the store about pretty much anything. It's not that we know everything, but that we're accessible and experienced and interested and engaged with it all." Evans concluded the panel with words that reflected the spirit, perhaps even the brand, of Wi12: "The last thing I'd like to say is just that, obviously, the answers to all of the questions that haven't been asked yet, or that you may have in your mind, can also be answered by all of the people that are around you who've been creatively answering these questions for sometimes decades. So talk to each other. That's what this whole Winter Institute is about."